If you have international clients visiting, you won’t need reminding that the five boroughs provide an almost endless selection of things to do. The problem comes in deciding exactly which activities, sights and dining destinations to visit, see and enjoy when entertaining out of town guests. 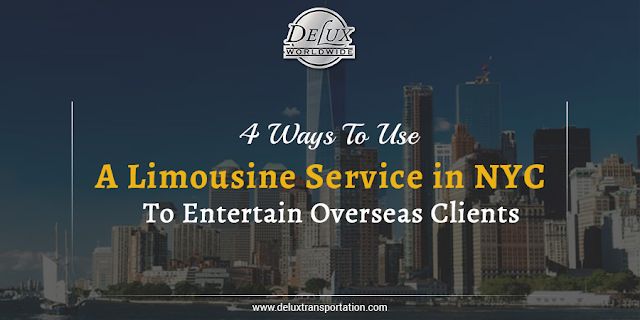 There’s an additional pressure that comes with creating an itinerary for international clients – the good news is that with our limousine service in NYC at your disposal, you’re already well-prepared to make the best possible impression on your business contacts. The Tribeca film festival was in full swing last week (ending on April 29th), and as a result, you may have spotted a few of your favorite actors, directors or producers moving around in New York City by means of a luxury limousine service. What you may not know is that the Tribeca Film Festival is only one of many dedications to the movie industry located in New York City. In a city that is one of the most heavily used filming locations for its energy and cultural vibrancy, there are a wide variety of film festivals tailored both to the most fervent movie buffs and more casual fans. While most of us will not be walking the red carpet at movie premieres, it doesn’t mean we cannot arrive in style to New York’s famed film festivals with a luxury limousine service.